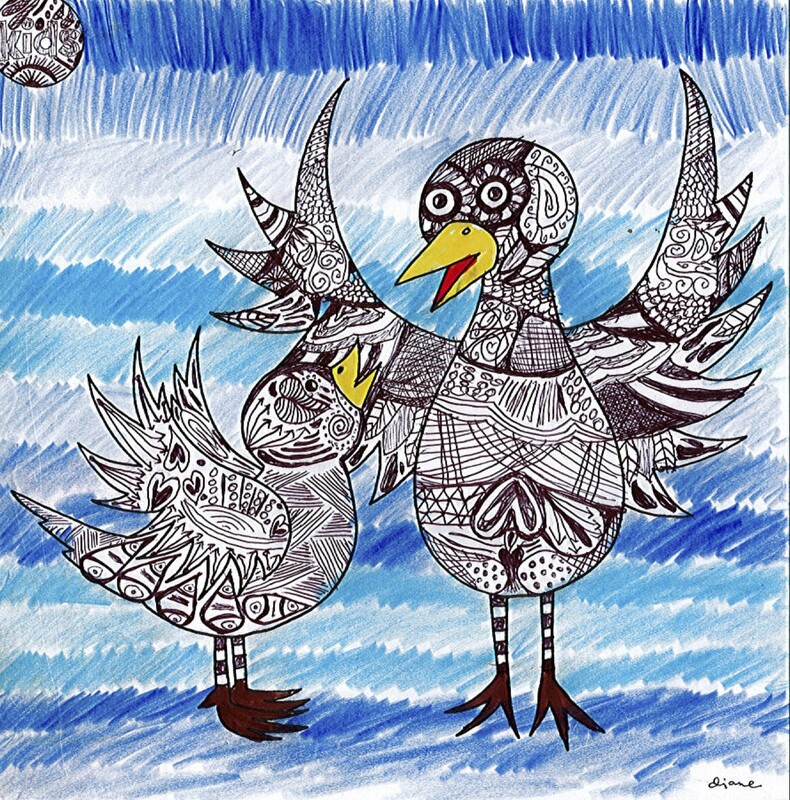 Seven-year-old Arabella’s “Happy Ducks” embodies the sparkling spirit of this month’s spectacular art submissions. Her feathered friends are decorated with rainbow wings, bright gold bodies, and glossy red and blue stars. 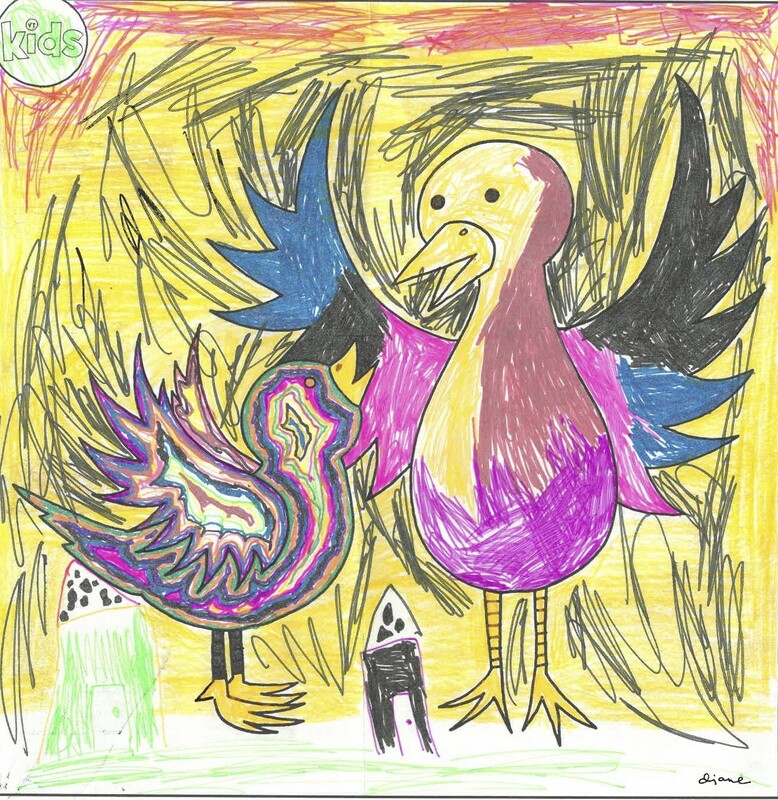 Hayden, 10, created a yellow bird with a rainbow-colored baby, against a wide, blue lake and starry sky. Five-year-old Patty decked out her duck in a top hat and bright orange and red plumage. Keep up the creative coloring, kids, and mail us your imaginative masterpieces in December and January. 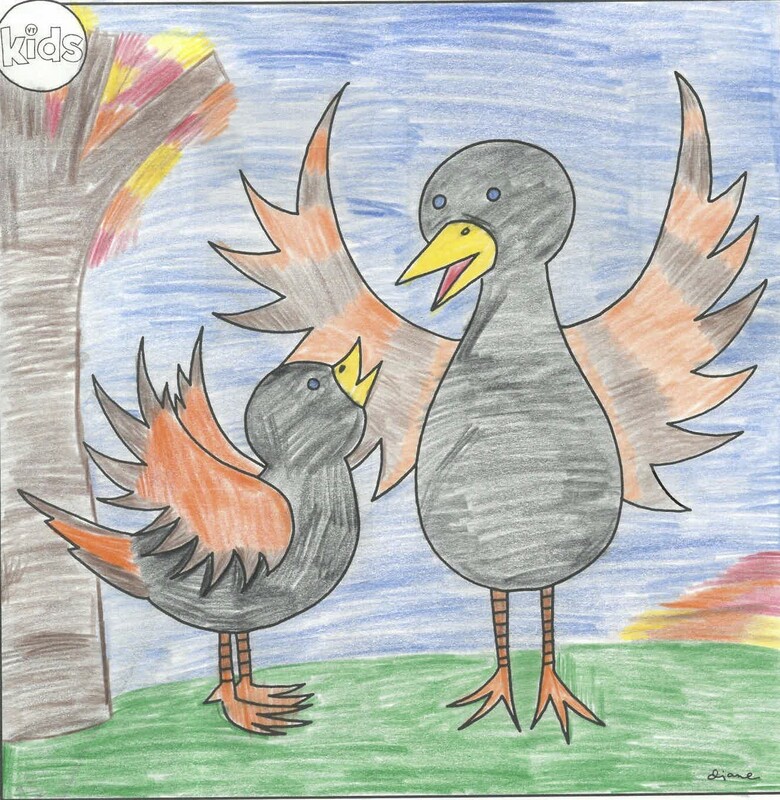 "Land of the Giant Birds"
Find our latest coloring contest in the "Just for Kids" section of our November issue! Deadline to enter is January 15.